We speak too fast, we cut words, we use too much slang, and we break nearly all the grammar rules. This is not what you learned in school, and your English class will do little to help you develop this extremely important skill for fluency. If this sounds like you, this article will reveal the best and most effective tips, strategies, and techniques to drastically improve your ESL listening ability. If you follow at least a few of them, these tips can dramatically improve your listening in a question of just a few weeks. First of all, it’s important to note that listening difficulties are very common. What’s not common, however, is a proactive attitude, or good strategies to fix this. Fortunately, once you start consistently implementing these tips, your listening skills will improve faster than you ever imagined. What a lot of frustrated learners don’t know, however, is that BECAUSE you are having this problem, it means that fluency is close. Learning to listen and understand native speakers in a relaxed, fun way is the biggest step you can take toward making English part of your life, and developing permanent lifelong fluency. Whatever you do in life, to be awesome at it, you need to do it every day. I’m sorry, but twice a week is okay for amateurs, but most learners expect (and need) to be highly proficient. For ESL learners who want and need permanent, life-long fluency, mediocrity is not an option. The most effective, interesting, and convenient way to do this is to create a lifestyle that transforms your contact with English into something convenient and enjoyable. Most of us live busy lives, and we value our free time, so to do it every day, we need good strategies, and we need to make them into habits. Whether you drive a car, take the bus, or walk, the most convenient time for you to practice your listening skills is usually in transit. Everybody I talk to about this complains that they don’t have enough time to practice. My response is always the same: find convenient, easy moments to do it, and make them into fun, daily habits. No matter what your level is, you don’t have to be intently listening to learn. You just need to do it every day. If you don’t understand, your mind and brain will adapt to the native rhythms pretty quickly, and you’ll soon start understanding and spontaneously using new words and speaking more like a native. The world is getting smaller every day, and technology is making it possible to be connected to every culture and language from your internet connection and MP3 player, anytime you want. This is great news for your English! Podcasts are limitless and if you haven’t started listening, START NOW. If you haven’t, you are missing out. You don’t need to depend on traditional media sources for your news, information, and professional development. There are native English speaking podcasts about EVERY TOPIC under the sun, from professional topics like business and entrepreneurship, to spirituality, fashion, art, culture, travel, and basically any topic you can imagine. Online radio is another great resource. You can live stream radio stations from all over the world with an internet connection. Read More About Podcasts (What is a podcast and why you should care). There are many, many podcasts for English learners too. 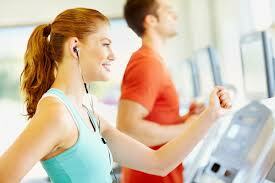 ESL (English as a Second Language) podcasts are made specifically for people learning English. There are teachers all around the world providing FREE ENGLISH RESOURCES. In fact, here at Real Life English, we just started doing a weekly podcast to help you guys learn. The weekly podcast, hosted by Trevor and Chad is released EVERY SUNDAY. It covers the FIVE EXPRESSIONS that we post in the RLE International Facebook Community during the week (as sort of a review). If you haven’t already, we recommend that you join the RLE International Facebook community. This is a great chance to learn not only from thousands of English speakers from around the world, but also the daily expressions, and weekly podcast. Music is another excellent way to listen in English, and it’s a lot of fun. The cool thing about music is that most people already listen to music in English. I suggest you print up the lyrics, read them, and look up any words you don’t know. This is another convenient, fun way to improve your listening skills. Most people already watch television and movies in English. Now you just need to make your English learning purpose explicit: use these convenient daily habits to learn English. TV series are ideal because they are shorter and you can do them every day. You can get the DVDs and watch them in order so that there is a continuous story. Friends is the most popular and research shows that people learn a lot of English from it. Other good shows are Big Bang Theory and How I Met Your Mother. But you can also watch virtually anything else on TV. Movies are excellent too. However, while movies are generally much more enriching and higher quality than TV shows, the 90 to 120+ minutes usually required to watch movies isn’t something people have every day. SUBTITLES: If you don’t understand what they are saying, put subtitles on in English. Once you get used to that, try taking them off. You can watch the same episode over and over until you really start to understand it. Look for the transcript online. This concludes the first installation of How to Drastically Improve Your Listening. There are many more tips in part two of this text, English Fluency 2.0-Listening Comprehension Secrets, including lots of new strategies to make English a part of your daily life, key ways to engage and understand people in conversation, listening on the phone, and techniques to build specific parts of your grammar and vocabulary to help listening. Take care and we’ll see you in part II of this article! 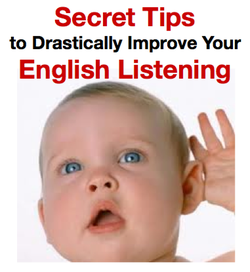 These are some awesome tips not just for English learners, but for ALL language learners. I think that English learners have the good fortune of learning the language with the most available media, but it exists in all languages, you just have to find them. Guys, I can tell you that the real breakthrough happened in my learning approach when I got rid of my laziness and started watching TV shows putting subtitles on in English! I still don’t have the best writing in the world (it’s a work in progress), but I can communicate much better! this is what i need…. Gog bless you guy. that was a useful article. Except for enjoying while I was reading, I found the best way to improve my English. Hii coaches, I think it’s really important getting a routine like learning English for 30 days (every day) I’ll try to be persistent , thanks!!! Hey Ruth, You’re exactly right. It gets easier and easier when you form a habit!